We are pleased to announce new Spanish-language edition of Works That Work. From the start, Works That Work has been a globally oriented project, gathering stories from all over the world and delivering them to an international readership. So we are pleased that the magazine has found an enthusiastic audience even outside of English-speaking countries, and we are proud to announce major new Spanish-language projects. 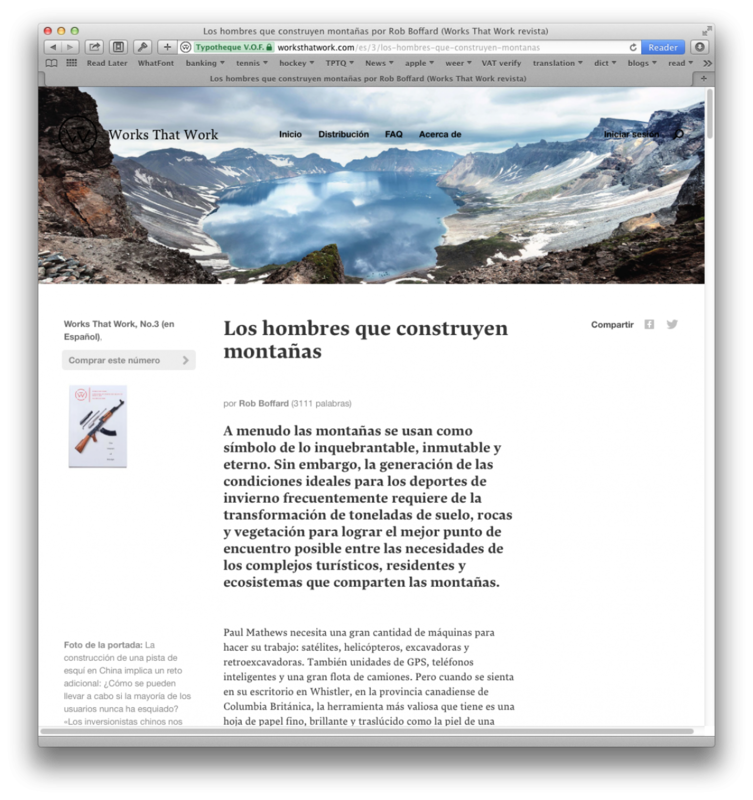 First, our website has been translated, and our main pages and subscriber account pages are now available in Spanish. But perhaps more importantly, starting with Issue 3 all articles will be available in Spanish in eBook (EPUB or MOBI), PDF, and online versions. If interest proves to be sufficient, we will consider a Spanish-language print edition as well. Readers of the print edition will now find a short URL at the beginning of each article that leads to digital versions that you can share with your English- and Spanish-speaking friends. So when you buy the print edition you also get electronic versions in two languages for free. We look forward to welcoming new Spanish-speaking readers, and to hearing your reactions. The third issue of WTW was translated by Cristóbal Edwards and proofed by Paloma Casillas. The website was translated by Alba Folqué, Enric Garrido, Marta Galí Brillas, and Alberto Romero.